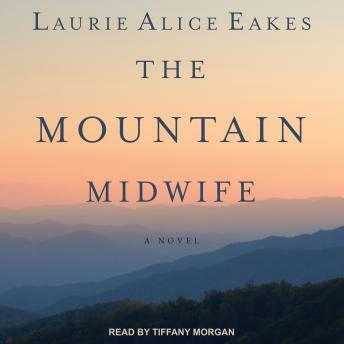 Listen to "The Mountain Midwife" on your iOS and Android device. For nearly two hundred years, women in Ashley Tolliver's family have practiced the art of midwifery in their mountain community. Now she wants to take her skills a step further, but attending medical school means abandoning those women to whom she has dedicated her life, the mountains she loves, and the awakening of her heart. Ashley Tolliver has tended to the women of her small Appalachian community for years. As their midwife, she thinks she has seen it all. Until a young woman gives birth at Ashley's home and is abducted just as Ashley tries to take the dangerously bleeding mother to the nearest hospital. Now Ashley is on a mission to find the woman and her newborn baby . . . before it's too late. Hunter McDermott is on a quest-to track down his birth mother. After receiving more media attention than he could ever want for being in the right place at the right time, he receives a mysterious phone call from a woman claiming to be his mother. Hunter seeks out the aid of the local midwife in the mountain town where the phone call originated-surely she can shed some light on his own family background. Ashley isn't prepared for the way Hunter's entrance into her world affects her heart and her future. He reignites dreams of having her own family that she has long put aside in favor of earning her medical degree and being able to do even more for her community. But is it commitment to her calling or fear of the unknown that keeps her feet firmly planted in the Appalachian soil? Or is it something more-fear of her growing feelings for Hunter-that makes her hesitant to explore the world beyond the mountains? I adored this book about the lives of woman in the Appellation Mountains. How they relied on the Midwife for delivering their babies and also for her friendship. The story dwells into the lives of these woman and their menfolk with the plot of the story broadening wider to include more twisting of the plot as the story winds its ways to a beautiful ending.